In December 2017, 11 expedition participants ventured across the Philippines with an objective to gain deeper knowledge and field insights in the origins of ocean plastic pollution. A journal article published in the magazine Science, states that about 80% of the world’s ocean plastic pollution comes from land-based sources; of which more than half originates from 5 countries: the Philippines, Indonesia, China, Vietnam and Thailand. In order to begin solving a problem, we needed to understand it well through the eyes of locals, therefore, the expedition team was accompanied by the teams of Danjugan Island Sanctuary and Philippine Reef and Rainforest Conservation Foundation Inc (PRRCF). For this, VOPO decided to embark on an expedition, aiming to analyse the issue from several perspectives including psychology, design, cultural, socio-economic and engineering. The experience combined: visits to both low-density rural and high-density urban areas, discussions with local key stakeholders, ecological sustainable design workshops, nature activities, and cultural immersions. Two days were spent in Manila, which allowed the crew to not only to visit projects outside Negros Occidental, but also to meet with key leaders in the sustainability space. The expedition provided valuable insights into the socio-political and economic challenges that Filipinos face, as well as, the potential points of entry for locally-based plastic waste management sustainable solutions. 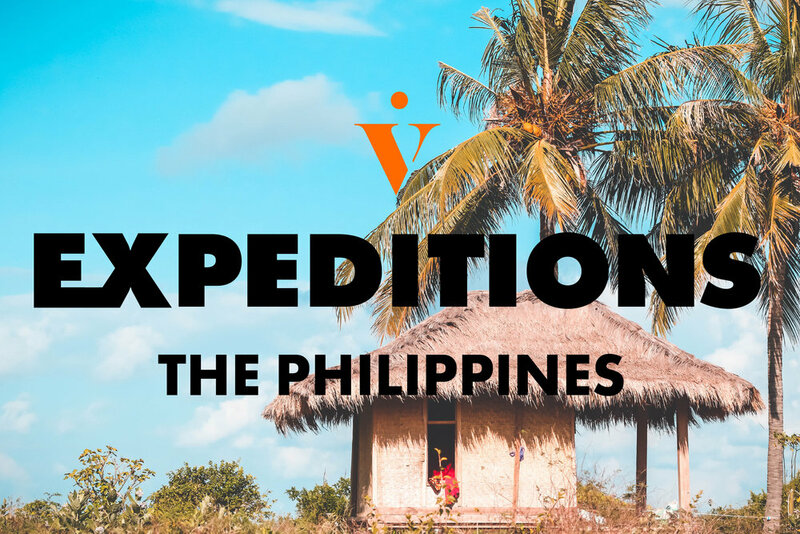 The VOPO team would like to express its sincere appreciation to the Expedition participants, PRCCF, Danjugan Island Sanctuary, the local Sipalay government and stakeholders for your involvement and engagement during our time in the field. We are incredibly excited to continue this journey together, through the implementation of the regions first Zero Waste Sari Sari store during Negros Inhabit, in January 2019. Sources of pollution, like pesticides, nutrient runoff from agriculture, waste-treatment systems and storm-water have been studied deeply and are known to cause real environmental and economic damage. However, the cause and effect of this type of ocean pollution has been taken into consideration at local and regional levels. An article by Jambeck et al. publish in 2015 in the Science journal draws urgent attention to unmanaged plastic waste from land-based sources entering the oceans, by an order of magnitude. Unless solutions are developed, fast. Vast research now suggests that the majority, over 80%, of the annual input of marine plastics come from land-based sources. This number instills urgency for creating strategic solutions which address ocean plastic pollution, originating from land-based sources. Hence, the birth of our Asia Pacific initiative, Rogue Plastic. 1. United Nations Environment Programme. NOAA – National Oceanic and Atmospheric Administration. Honolulu strategy (2011). 2. United Nations Environment Programme. Marine Plastic Debris and Macroplastics – Global Lessons and Research to Inspire Action and Guide Policy Change (2016). 3. Jambeck, J. et al. Plastic waste inputs from land into ocean. Science. 347, 768-771 (2015). 4. Eunomia Research & Consulting Ltd. Plastics in the Marine Environment (2016). Research suggests that the majority of plastic entering the oceans originates from a small geographic area. In fact, between 55 to 60 percent of it comes from five rapidly growing economies – China, Indonesia, the Philippines, Thailand and Vietnam. 1,2 VOPO’s focus and specialization is primarily within remote, sustainable innovation. The ‘big five’ countries have benefited from momentous economic growth and increased GDP. Development, mining and consumer products are reaching the furthest places at an aggressive rate. The growing economic power, which has generated an exploiting demand on consumer products (provided through sophisticated marketing and logistics strategies) has not yet been met with the consummate waste management infrastructure, education and skills required to cope with such an influx. The initial reasoning for VOPO to engage the Philippines in Rogue Plastic and devote our focus to Negros through our partnership with PRRCF and Danjugan Island, was due to the country sitting in the ‘big five’, and the specific region being in a pivotal time, depending on the establishment of true eco-tourism offerings, sustainability standards and robust systems which conserve this spectacular paradise. Negros has unique natural beauty and a fascinating socio-cultural history. The travel industry here remains untapped and stands at a pivotal time. During the Expedition, we observed, discussed and critically analysed potential ways to address such a challenge. Systems thinking and integrated life cycle studies conducted during the experience were just two elements that provided an exploration of predisposing factors. This created a base for effective solutions. Fascinating parallel questions arose, such as: Whether a money-based economy is the best answer to remote Southeast Asian communities. Or, recognising that plastic behaviour is entrenched until the Hacienda system is first addressed. It is important to point out that the Philippines has some of the highest waste collection rates across Southeast Asia. They have developed innovative approaches to waste treatment and management (excluding the clearly developed nations/regions, i.e. Singapore). Collection rates and the availability of waste systems varies significantly across islands and LGUs. Plastic waste from land-based sources comes from either uncollected waste or that which has leaked from within the waste management system itself. Post collection leakage occurs as a result of improper dumping, formal and informal dump sites lacking regulation. For example, illegal dumping by trash haulers and dumping sites near or on waterways has been reported. Non collected leakage comes from community waste piles and general littering. Plastic with low residual value is more likely to leak into the ocean. There is a lack of formal recycling systems, however informal systems such as waste picking do exist. Rogue Plastic in Negros has been a challenge for many years and there have been many projects undertaken to improve the situation. At a national level, the Ecological Waste Management Act 2000 and Republic Act No. 9003 were passed to provide an ecological solid waste management program creating institutional mechanisms, incentives, prohibitions and penalties. The act requires local government units or LGUs to both submit a 10-year Ecological Waste Management Plan EWMP, and establish disposal facilities, mainly sanitary landfills. Interestingly, the Sunstar reported that 33 out of 57 local government unit LGUs across the entirety of Negros Island were in violation and non-compliant with the provisions of the Republic Act and Ecological Solid Waste management Act. Meaning, they had neither a sanitary landfill nor an EWMP. During the expedition we noticed that LGUs can have a lack of funding to create sanitary landfills and some LGUs may use those of nearby municipalities. 1. Jambeck, J. et al. Plastic waste inputs from land into ocean. Science. 347, 768-771 (2015). 2. McKinsey Center for Business and Environment & The Ocean Conservancy. Stemming the Tide: Land-based strategies for a plastic-free ocean (2015). 3. Sunstar Bacalod. 33 Negros LGUs ‘violate’ solid waste management law. (2016). As an archipelago surrounded by water with an extensive network of rivers, creeks and coastlines. These factors give the Philippines a high likelihood of waste entering waterways. The following table, taken from the Science article, shows waste estimates for 2010 by mass of mismanaged plastic waste (in units of millions of metric tons per year). Averaging these numbers with the Negros population (which is an assumption) then the Negros island has about 23,000 metric tons of plastic waste leaked into the ocean per year. 1. United Nations Centre for Regional Development. Second Meeting of the Regional 3R Forum in Kuala Lumpur. Republic of the Philippines (2010). 1) Private waste collection companies illegally dumps the collected waste due to financial incentives. In order to save money from petrol and time, the private collectors, illegally dump the waste in unauthorised areas instead of taking it to the agreed end, maybe a sanitary landfill or an informal dump. 2) Plastic waste is leaked from informal dumping sites. Often, informal dumps are created without using appropriate engineering, hence, allows for leakage opportunities. For example, an informal dump site nearby a river system that tends to leak plastic when high levels of rainfall occurs. McKinsey Center for Business and Environment & The Ocean Conservancy. Stemming the Tide: Land-based strategies for a plastic-free ocean (2015). Even though some Filipinos have benefited from recent economic growth and GDP, it has also created pressure on other areas, such as, the environment. Consumer goods where introduced using plastic as packaging material to areas that do not have appropriate waste management infrastructure to treat the waste has allowed large amounts of plastic waste to leak into the oceans. Another important event explored during the expedition was the lack of education about the detrimental impacts that plastic waste has to both the environment and personal/village livelihood (fishing, tourism, health, aesthetics, etc). It is important to point out that even though the Philippines has some level of waste management infrastructure in some municipalities, often the waste collectors illegal dump the waste driven by a financial incentive and lack of enforcement. The expedition allowed us to understand first had what where the challenges (social, political, economic) faced by these communities and what are some potential points of entry. In the next article, we are going to explore deeper into some of these challenges and points of entry identified during the expedition. As well, the first Rogue plastic solution that will be implemented during the next Impact Adventure in the beginning of 2019.